Popping has been a popular fishing practice around the island but mainly along the reef targeting the famous giant trevally. We have adapted this technique for the yellowfin tuna living around the artificial FADS and have had amazing success. 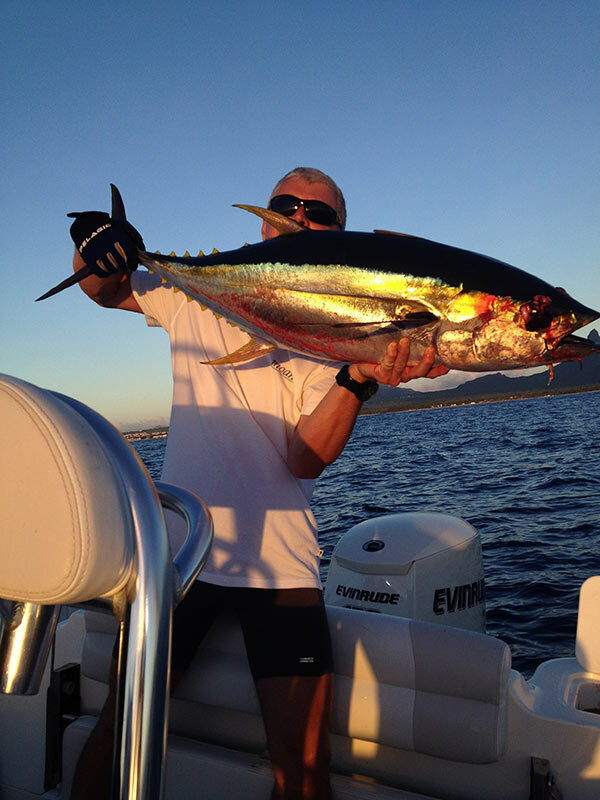 The action of a popper on the surface while drifting without the engine noise will help to raise the tuna to the surface and encourage the strike. 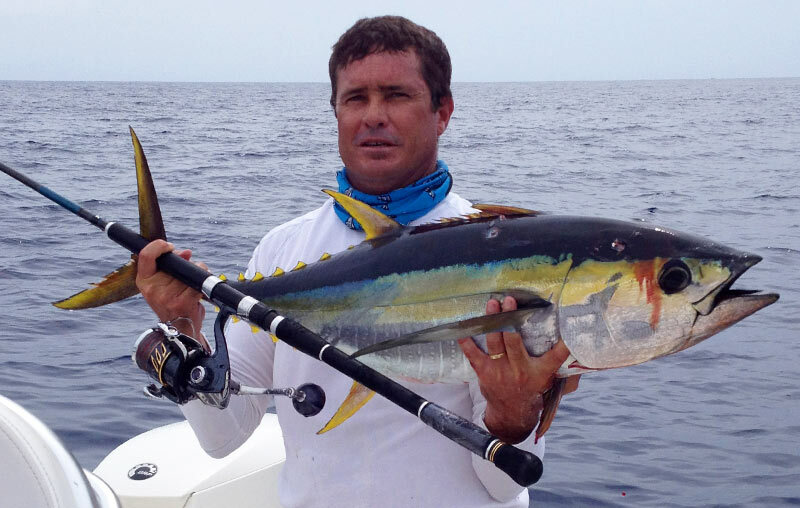 The strike of a wild yellowfin tuna on the surface is one the most exciting fishing experience and the fight on a proper spinning rod makes it even more incredible. 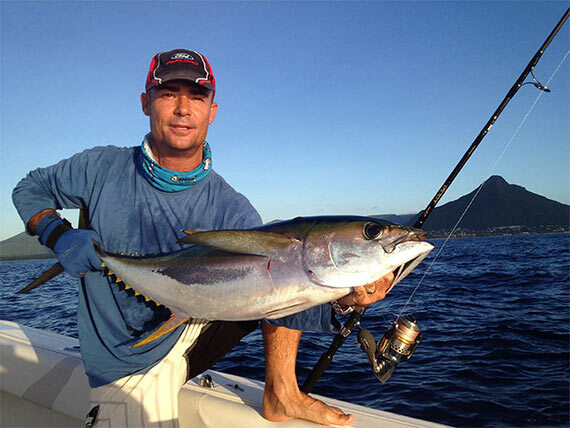 Yellowfin tuna ranging from 5 to 35 pounds are abundant all year round but during the months of February, March and April the yellow fin tuna migrating along the west coast of Mauritius will reach up to 215 pounds. 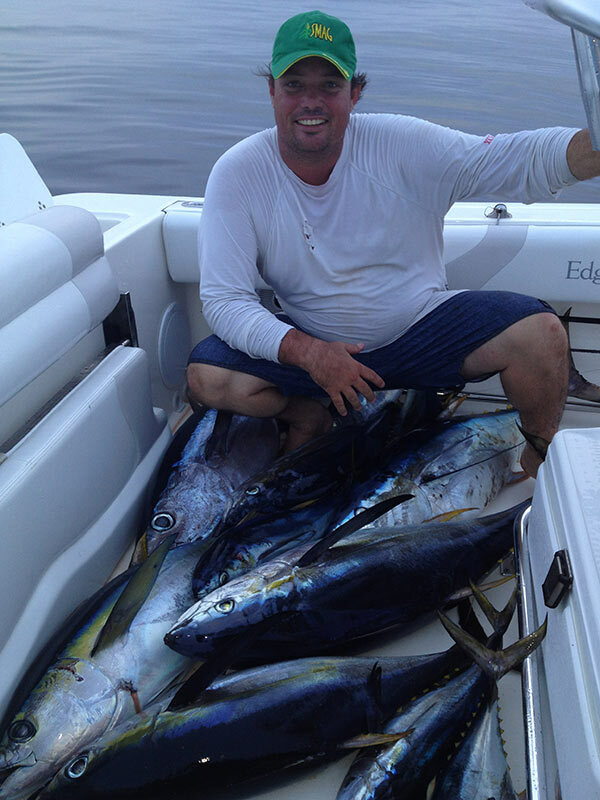 Recommended boat for this fishing trip will be the 26 feet open center console Gamefisher 1 and the best is time either at sunrise from 5:00 am till 9:00 am or from or sunset from 3:00 pm till 7:00 pm. Experienced anglers are free to bring their own rods and reels, but make sure you have a strong one! 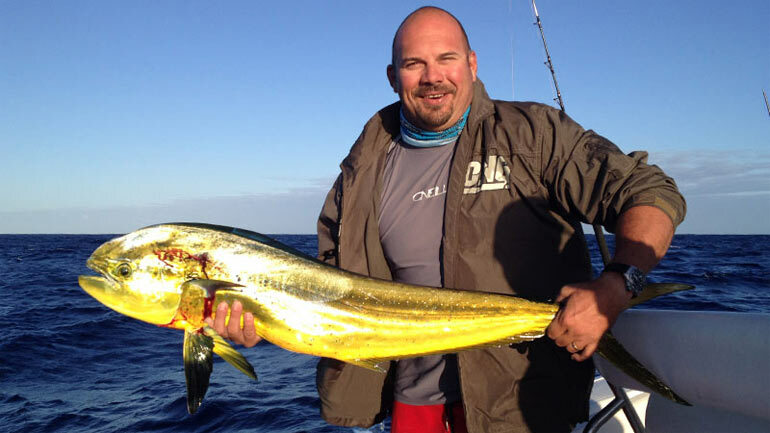 Beginners will benefit from the skills of the highly qualified skippers to get a quick introduction to this new fishing technique. But one thing is for sure, once you can pop, you can’t stop! • All the necessary top class popping rods with reels and braided lines are available onboard.